A reverse mortgage, commonly referred to as Home Equity Conversion Mortgage (HECM), is a financial product exclusive to homeowners who are 62-years old or older. Simply put, a reverse mortgage is a loan. Eligible borrowers who have accumulated home equity may borrow funds against the value of their property and obtain funding as a fixed monthly payment, a lump sum, or even credit. 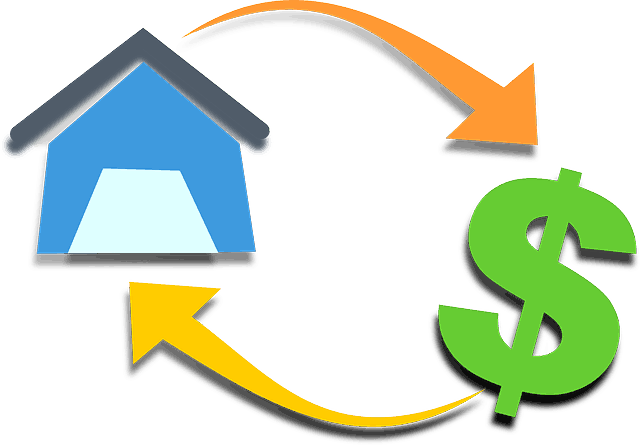 Interestingly, a reverse mortgage doesn’t obligate a debtor to put in any loan payment. Instead, the aggregate loan balance becomes payable when the debtor sells the home, moves away for good, or dies. Federal regulations dictate that lending firms should ensure that the loan amount does not go beyond the debtor’s home value and that the debtor’s estate will not, in any part, be held accountable for making up for the difference should the loan balance exceed the home’s value. One way for this to happen is when the home’s market value plunges, or if the debtor lives for a reasonable length of time. Generally, reverse mortgages can be a good source of finances to senior citizens whose net worth greatly rely on their home’s value. Furthermore, these loans can be pricey and intricate, and also very prone to several scams. As the name suggests, a reverse mortgage works the other way around. A lender makes the payments to the homeowner instead. That said, the homeowner is given the opportunity to choose how the funds are provided, and is obliged only to pay for the interest. Positively, the interest is integrated onto the loan balance to keep the homeowner from paying for anything on the onset. As expected, throughout the loan, the debtor’s home equity decreases. Similar to a forward mortgage, the property becomes collateral in a reverse mortgage. In the event of a relocation or the debtor’s death, the proceeds from the home being sold go directly to the lending firm to make up for the reverse mortgage’s interest, mortgage insurance, and principal. Any other form of profit beyond what was loaned is given directly to the debtor (should he or she still be alive) or the debtor’s estate (if he or she is already deceased). Should there be involvement of heirs, they may decide to pay off the mortgage in the name of keeping the home. It’s also important to note that HECM proceeds are non-taxable. Although the arrangement may resemble income for the homeowner, the IRS considers this type of funding to be a loan advance. Should you qualify, a reverse mortgage is a convenient way to receive funding when your home equity is your most significant asset; without selling your home. The access to funds can offer extra money during retirement to pay off debts, maintain your current lifestyle and handle unforeseen expenses. A home equity loan without the monthly mortgage payments is one of the top benefits of a reverse mortgage. The loan only needs to be repaid when you sell the house, move out or pass away, and is typically paid for with the money from the sale of your home. The loan balance or interest doesn’t have to be paid before then, making it attractive to seniors. The lender doesn’t get the title or the right to sell your house as long as you keep up with the maintenance of the property, keep the taxes and insurance current. You get to live in the house until you decide to sell or move out. Comparatively, making use of a HECM means letting go of a massive amount of the equity a borrower has accumulated on loan payments and interest. This may also mean that a borrower will be unable to relinquish his or her property to heirs. Should the borrower have someone else live in his or her home, the person will no longer be welcome to stay in the said property when the borrower passes away. Should a borrower opt for a term plan or a lump sum, or should he or she utilize a reverse mortgage for a line of credit and exhaust everything, chances are borrowers will not have any money left at all when it is needed. In some instances, a reverse mortgage may not deliver the long-term solution a borrower is looking for, so there is also the possibility of the entire mortgage not being worth it. Furthermore, just like many other loan types, there are also standards that need to be met to qualify. As established, borrowers must be 62-years old or older. You cannot qualify if you or your spouse is younger than 62. You must be living in the property, will continue to live in the property, and will keep it as your primary residence. Borrowers must also have their own home or have at least 50% home equity over the property at hand. Eligible borrowers must also be able to pay for an insurance premium, origination fee, and interest, among others. Before applying for a HECM, a borrower must meet with a HUD-approved counselor and pass the verification process of their income, assets, monthly living expenses, and the timely payment of their property taxes and insurance. The HUD-approved counselor will review the borrower’s situation and decide whether a reverse mortgage is the right option for the borrower. Home Equity Conversion Mortgage is the most common type of reverse mortgage. The federal government backs them, and you can spend the money any way you want. A proprietary reverse mortgage is similar to a HECM but is not backed or guaranteed by the federal government. They have fewer restrictions, but fees may be higher than a HECM and are not available in all areas. A HECM for purchase can be used to buy a new home for your primary residence. You enter into a contract to buy your new home, pay a down payment and then finance the balance of the purchase with the reverse mortgage rather than paying cash or using a first-lien mortgage. The new home can’t be a vacation home or investment property. This strategy lets you complete everything in one transaction, and you will not owe mortgage payments for your new home. Many seniors use a HECM for purchase to downsize or move closer to family members. A line of credit allows you to draw down the proceeds at any time, in any amount you choose, until you have used up the entire line of credit. You get a fixed monthly cash advance for a specific period, hence, the term. The tenure option gives you a fixed monthly cash advance for as long as you live in your home. A combo term/line of credit gives the borrower a line or credit AND receives a fixed monthly payment for a specified period. A combo tenure/line of credit gives the borrower a line of credit AND receives a fixed monthly payment for as long as they live in the home. This option gives all the loan proceeds at closing and is only available with a fixed rate loan, and typically offers less money than other HECM options. Instead of remaining in the same old home, a borrower can elect to use a reverse mortgage to downsize and purchase a new home. You can use the funds from the sale of the old home plus any other source of funding, e.g., gift money, savings, etc., to buy a property and leaves you with no monthly mortgage payments. A reverse mortgage allows homeowners to access a home’s equity to provide extra income during retirement. However, few people understand how reverse mortgages work and consider them as an option. Unlike a home equity loan, no payments must be made on the reverse mortgage while the borrower is living in the home. The loan must be repaid when the borrower moves out of the house, sells the home, or dies. With most reverse mortgages, you have at least three business days after closing to cancel the deal for any reason, without penalty. This is known as your “right to rescission.” To cancel, you must notify the lender in writing. Send your letter by certified mail, and ask for a return receipt. That will let you document what the lender got, and when. Keep copies of your correspondence and any enclosures. After you cancel, the mortgage lender has 20 days to return any money you’ve paid for the financing.